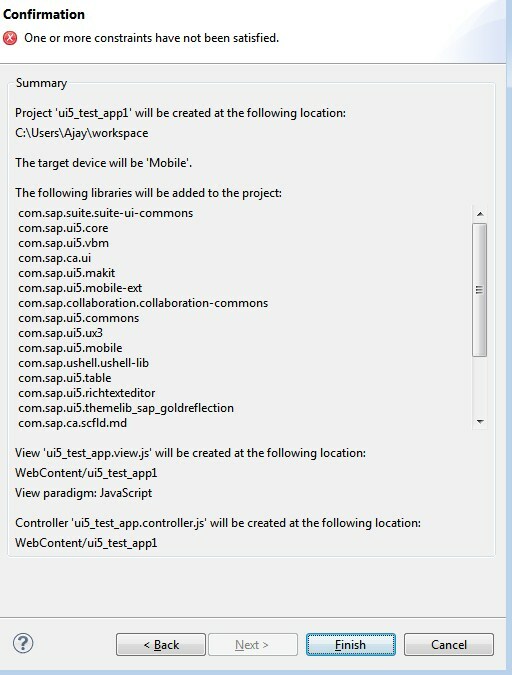 when all process is done completely on creating a UI5 project using Eclipse you may face the following error. "one or more constraints have not been satisfied"
Change the Compiler version in Eclipse, by default 1.4 will be selected as compiler. Choose the compiler version as you have installed in system.